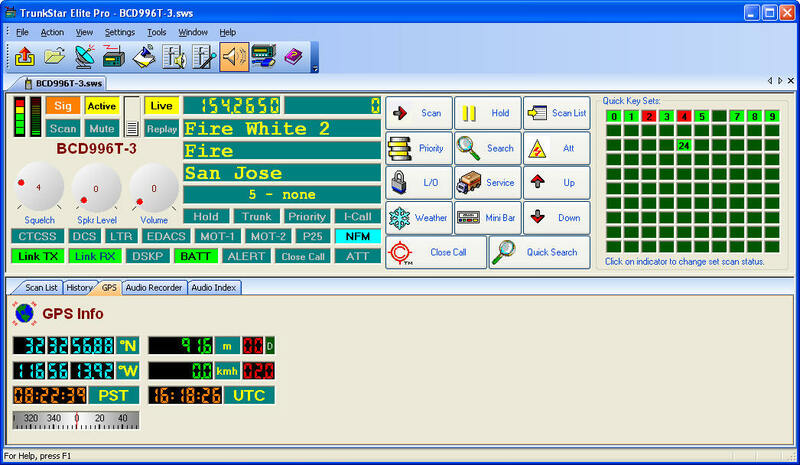 The radio control display in TrunkStar Elite Pro is divided into two portions: upper and lower. 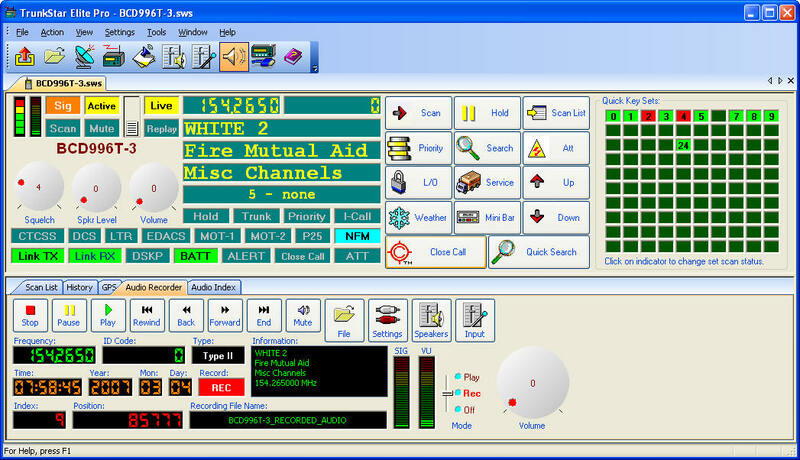 The upper display area shows the status of the radio and the lower display area has selectable views for additional information. 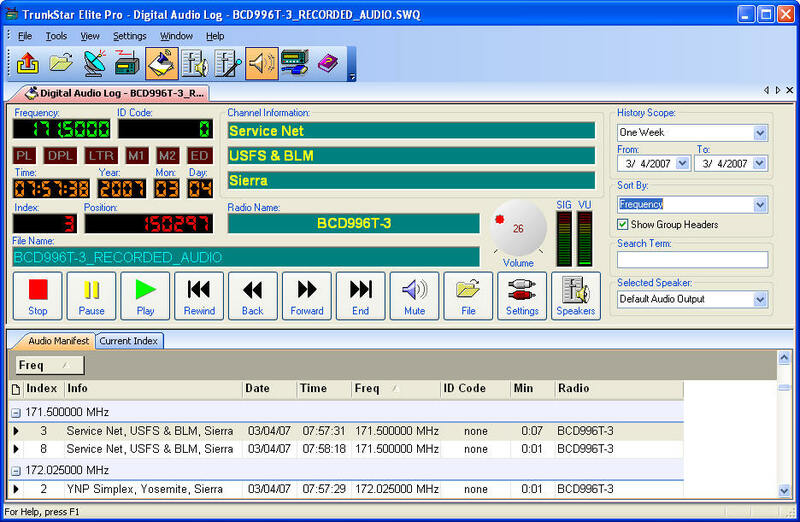 The following picture shows the Audio Recorder view in the lower section. 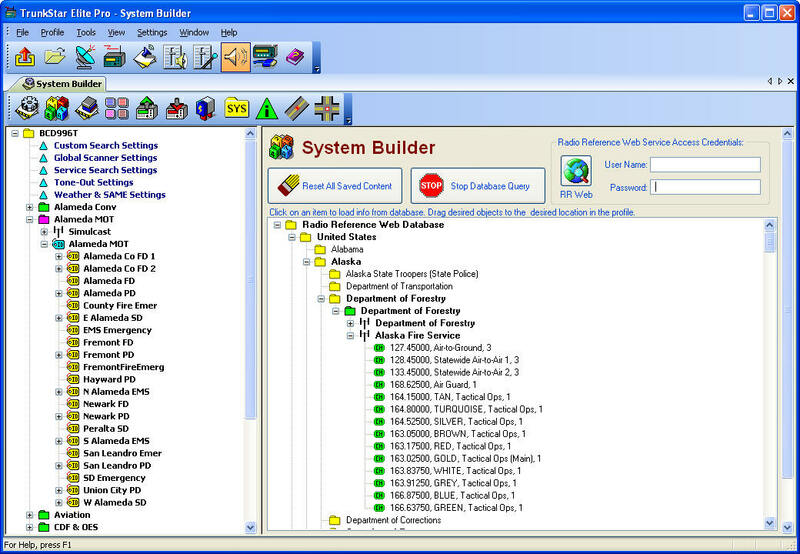 This picture shows the History view. 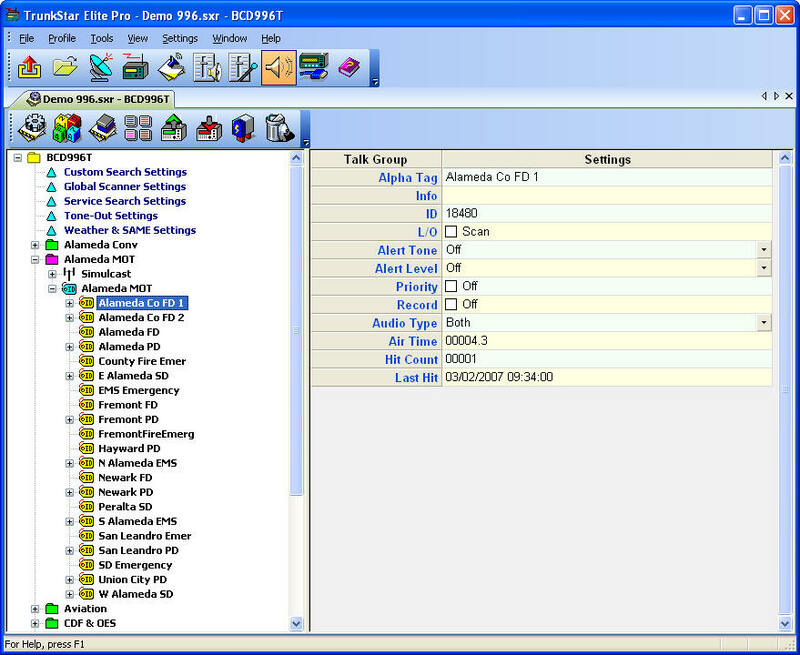 This picture shows the Scan List view. 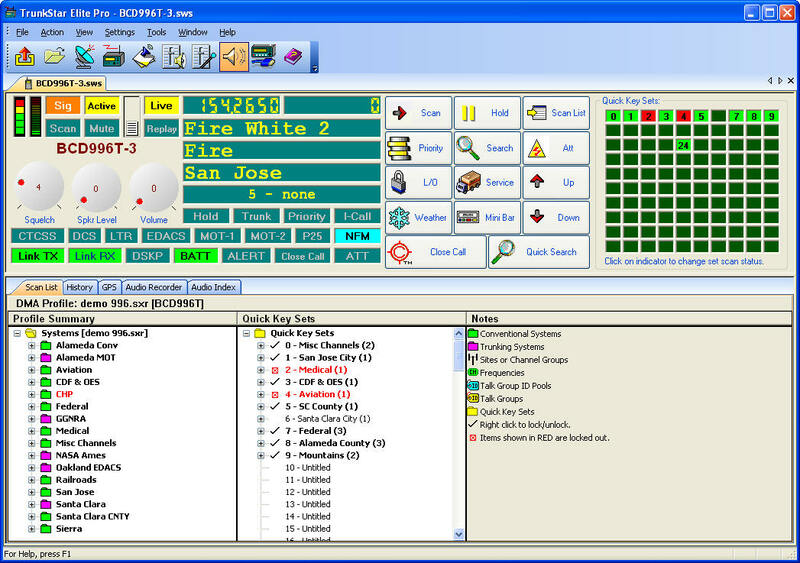 The scan list is the group file that defines the radio's program. 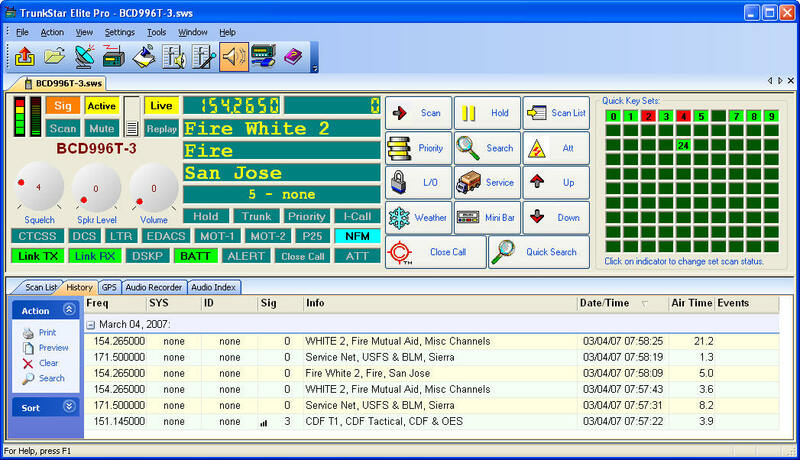 The Audio Player and Manifest combine to provide a powerful audio intercept retrieval system. 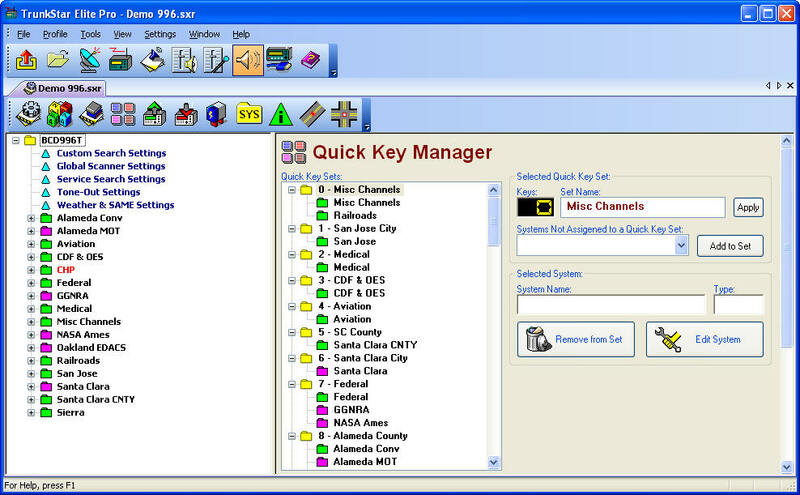 All audio intercepts on the computer are cataloged and shown in the manifest. 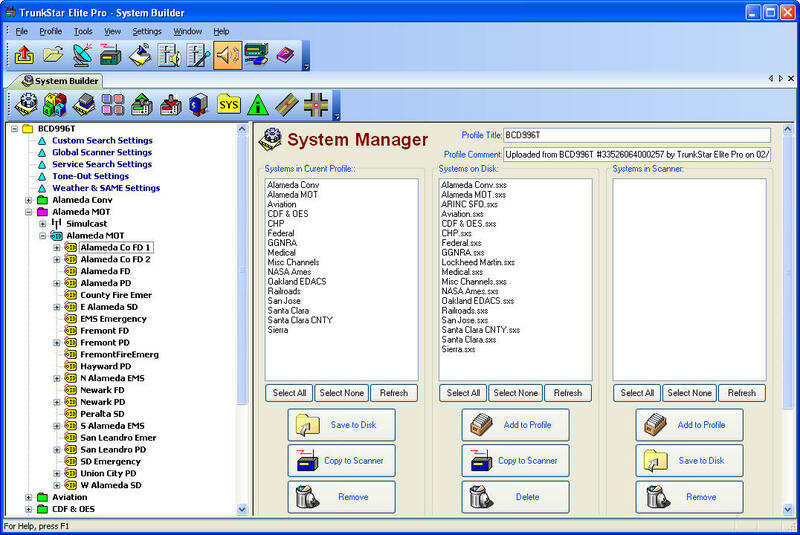 Various sorting, searching and history scope features are included.